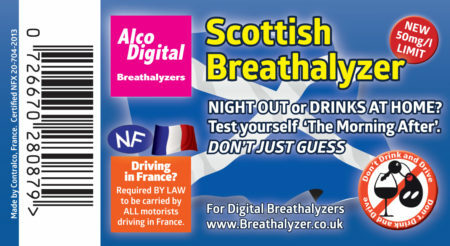 The cheapest solution to ensure you comply with the new French Breathalyzer law is to carry an NF-Approved single use breathalyzer. 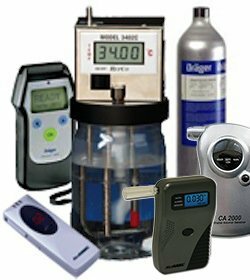 Additionally, with the limit in France being close to that in England and Wales these are the perfect cheap solution for those that need a breathalyzer to check themselves the morning after. Keep a few in your house or glove box for that day you need it most. Blow into the bag with a full breath. Squeeze the bag through the yellow crystals. If the Crystals change colour you know you have alcohol left in your system. There is a line to act as an indication of what the legal limit in France is. 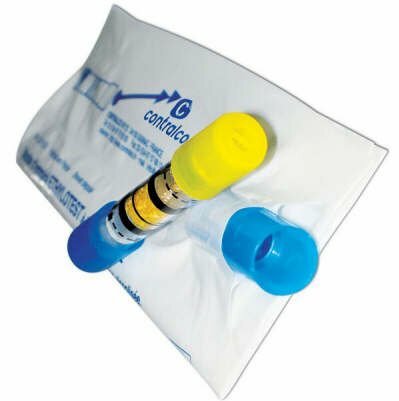 This is a twin pack so you have two breathalyzers available just incase you need to use one. 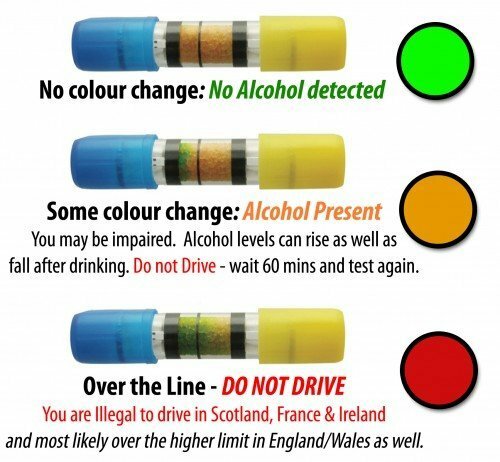 The limit in France is lower than that in England/Wales/N.Ireland so you may feel it is worthing using one while on your trip one morning, just to be sure. 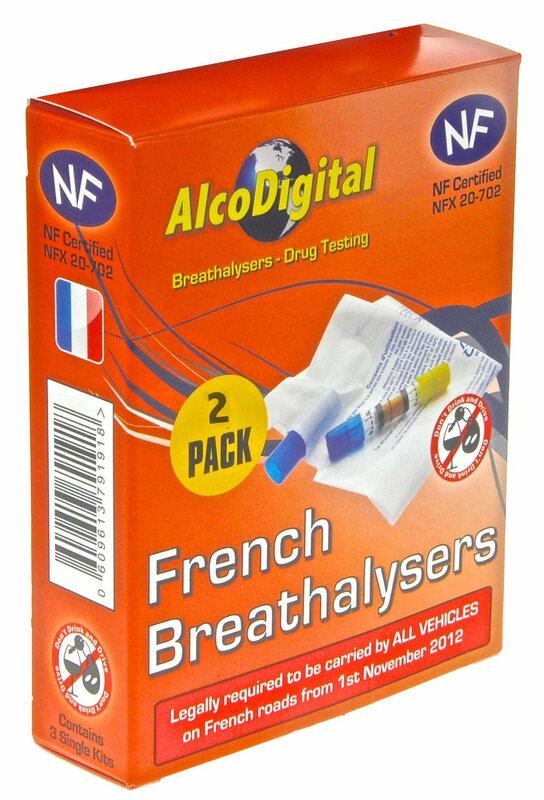 The Decree states that the breathalyzers MUST be listed in the “Official Journal of the French Republic” so you should only purchase NF-Approved Breathalyzer Kits if you want to be certain they will be accepted by the French Gendarme.